Karen Chen opened Rejuvenation Wellness as a preventative and restorative health center. Her work began with counseling those in pain in her native country of China. 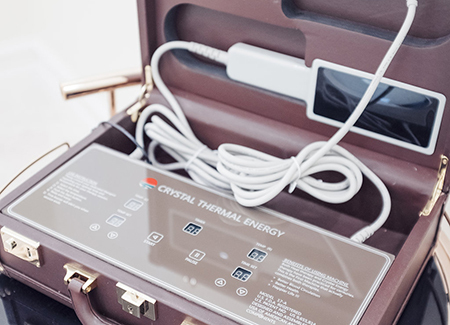 Seeking to find a solution to multiple ailments, from compromised immune systems to arthritis, Chen consulted the help of scientists to develop what is now known as Crystal Heat Therapy. Rejuvenation Wellness offers healing regiments for those looking to detox and live clean, healthy lives as well as those in need of pain relief. "My right eye was closed after my stroke, but after only a couple of weeks of Crystal Heat Therapy, it opened fully. After your guidance and treatment, my double vision is moving close to about 70% recovery and will soon return to normal." Lenny You - Rejuvenation client. "I was sick with a liver condition and had gained 20 pounds of water weight in my stomach, legs, and feet. Now I’m fine. I am very happy with the results and have recommended this treatment to my friends, some who have already have been evaluated and have taken treatment. The doctor’s drugs have so many side effects, so I was lucky to hear about this easy noninvasive treatment." Fumiko Gollnick - Rejuvenation client. 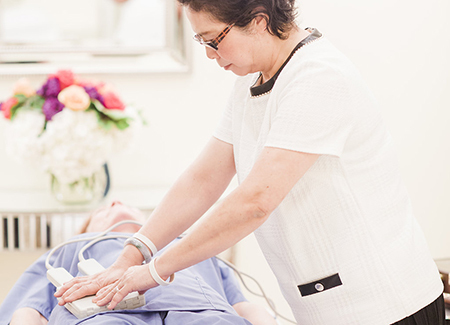 "My tumor was reduced 40% after a few therapy sessions, and my physician concluded it was thanks to Crystal Heat Therapy.My physician concluded and reported these results from my blood work upon treatment with crystal heat therapy with Karen." Results are not typical and may vary.